REPTILES The First Amniotes EVOLUTIONARY PERSPECTIVE (reptos, to creep) Reptiles were the first vertebrates that possess amniotic eggs. 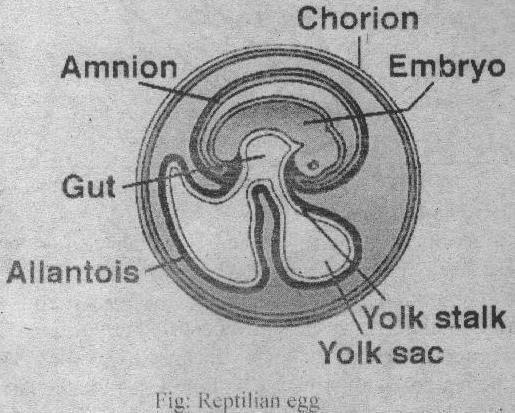 Amniotic eggs have extraembroynic membranes. These membranes performs the following functions: 1. They Protect the embryo from dessication. 2. These support the embryo like cushion. 3.